For thousands of years, it was thought that Heaven bestowed the right to rule the Earth only on those who are virtuous and capable. Natural disasters are ominous signs of heaven's displeasure with the ruling dynasty and this leads to unrest among the populace. A new leader, whoever it may be, is needed to restore order. The Mandate of Heaven does not choose based on status or race, as peasants and foreigners have become emperors of the Middle Kingdom in the past. The Mandate of Heaven DLC brings players of Sengoku Jidai to another "country at war". The expansion contains four dynamic historical campaigns set in the 16th and 17th centuries. These chronicle the decline of China's Ming Dynasty and its conquest by the Manchu Qing Dynasty. It also includes the Mandate of Heaven sandbox campaign that enables players to freely choose the opposing forces fighting for supremacy over the Chinese mainland and Mongolian steppes. Mandate of Heaven also introduces new factions and their unique units. These include the Tibetan lords and their rivals who possess heavy lancer cavalry who also use bows. Also included is Ming loyalist Koxinga's army and his famous Tie Ren (Iron Men). Finally, the later Western Mongol army is updated to include dismounted troops as employed by the Dzungar Khanate. Fight for the right to rule China with the Mandate of Heaven! 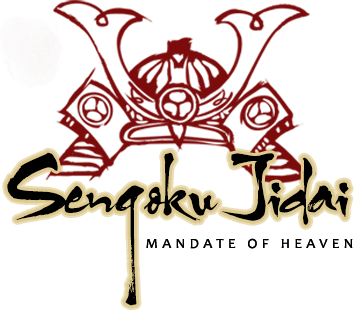 Mandate of Heaven is a DLC for Sengoku Jidai: Shadow of the Shogun and it requires the base game to be played! 2. Revised Western Mongol 1650-1700 army list includes dismounted units. 3. Mandate of Heaven SP & MP skirmish modules using all of the armies previously in Ming in Crisis plus the armies of these new factions. Mandate of Heaven: This sandbox campaign on the historical map of China allows any of the factions previously available in Ming in Crisis skirmishes, plus the new factions, to be chosen as the two main protagonists, at any date from 1500 to 1700. Starting positions are based on historical geography. However, the central government is in a state of collapse and some territory has already been lost to these factions. If neither the player faction nor the AI faction is the central government, there will be a third faction on the map, the central government (Ming or Qing depending on the date). However, this is in disarray and its provinces have been left to fend for themselves, only having enough troops to defend their city walls. The individual provinces can be conquered by either side or induced by gifts to join a faction voluntarily. Once annexed, Chinese units can be recruited there, as usually happened historically whenever China was partially conquered. Northern Border Crisis: Historical campaign starting in 1513 with Eastern Mongols and Jurchen vs Ming. Shattered Throne: Historical campaign starting in 1645 after the Qing have conquered Beijing. Qing vs Ming. Three Feudatories: Historical campaign starting in 1674 with the rebel Three Feudatories and their Zheng Dynasty allies vs Qing. Dzungar-Qing War: Historical campaign starting in 1690 with Western Mongols vs Qing.